Indiana American Bulldog Rescue View other American Bulldogs for adoption. Hoss came to us as a stray from Fowler, IN. He has not been reclaimed. He is alot of dog hence his name Hoss. He does not like being in a cage. But we have been working with him and he is doing a little better. Once out of the cage he is a different dog. He does walk pretty decent on a leash. He loves attention and dog treats. He doesn't mind getting a bath. He will roll over for a belly rub as well. Hoss needs someone who can handle him and his brute strength. Hoss will need his surgery before he can be adopted. 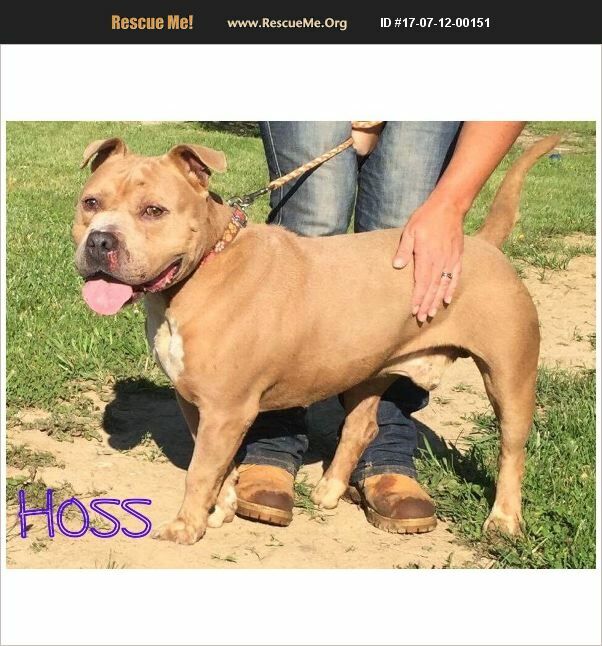 If you think you moght like to meet Hoss call 765-585-0805 for a meet and great.